The continuation of Hakuoki. The Edo Era has ended after 260 years of history and the Meiji Era begins. However, bitter strife still continues between the soldiers of the new government and former Tokugawa retainers. This is the stage in which the surviving members of the Shinsengumi find themselves upon their return to Edo following their defeat at Tobafushimi. 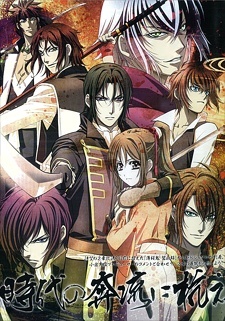 Watch Hakuouki Hekketsuroku Episodes Online at Animegg.org. Hakuouki Hekketsuroku is available in High Definition only through Animegg.org. Choose an episode below and start watching Hakuouki Hekketsuroku in Subbed & Dubbed HD now.